U.S. E.P.A. approved for "Design for the Environment"
For Use On: Use on all types of hard surface flooring including Laminate, Vinyl, Ceramic & Porcelain Tile and Polyurethane Finished Hardwood Floors. 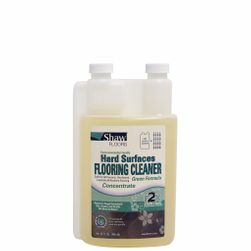 This convenient 1-gallon bottle of Shaw r2x GREEN Hard Surface Cleaner is an eco-friendly multi-purpose cleaner for a variety of hard surface flooring, including laminate, vinyl, ceramic, porcelain and polyurethane-finished hardwood floors. 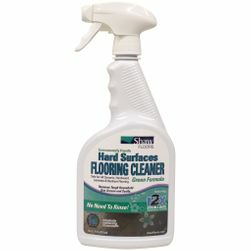 It's designed for super-easy application and can be used as an economical refill for the 32-ounce spray bottle from 1877FloorGuy. 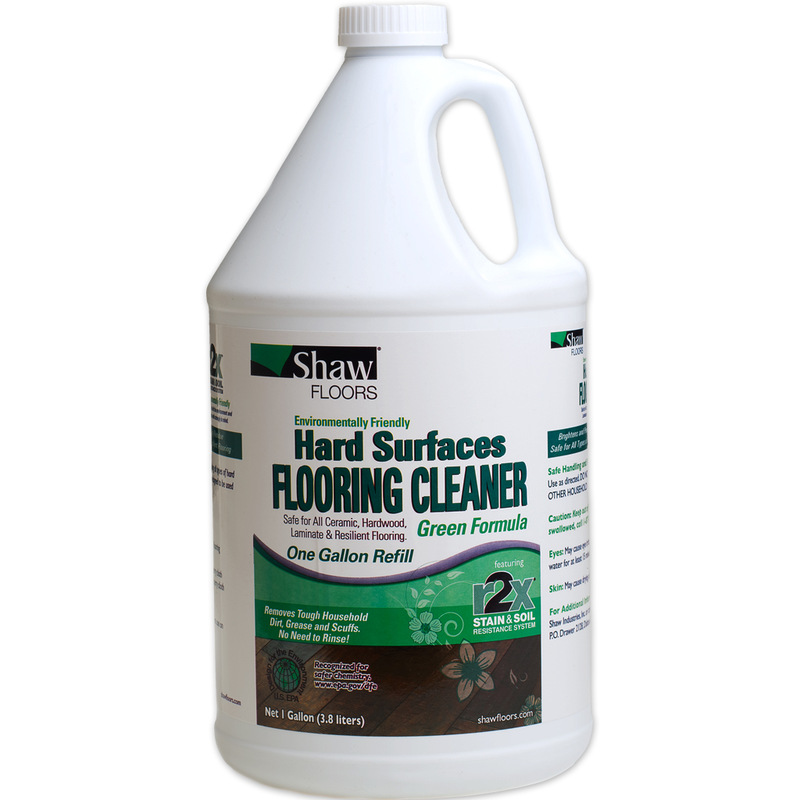 This cleaner removes the toughest dirt, grease and scuff marks without causing dulling, grout stains or residue. 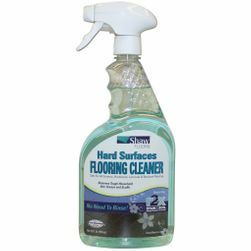 r2x Hard Surface Cleaner is a green floor cleaner that emits a fresh, pleasant scent and features an environmentally friendly formula. Sweep or vacuum floor to remove loose dirt. 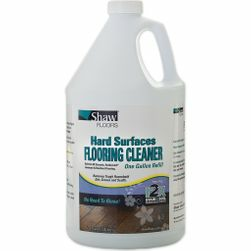 Lightly mist a 4' x 4' area of floor surface with R2x Cleaner (use spray bottle). Do not saturate floor. 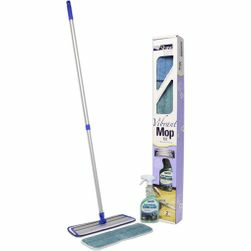 Using a back and forth motion, wipe mist off of the floor with a clean microfiber mop. Finish one area before moving to the next.